My long-time friend, Mark Vallance, died the week before last, aged 72, and obituaries are appearing in the mountaineering world. I would like to add my own recollections of the man I have known for over 50 years. We met in 1966 at Goldsmith’s College, London, where we both lived in the same men’s hall of residence. 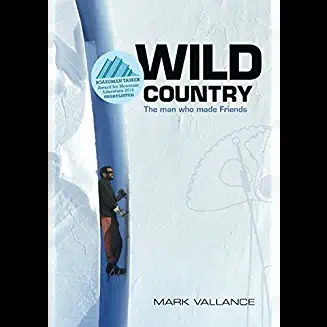 Although only two years older than me, Mark was already well-connected in British climbing circles, had an impressive list of rock climbing and mountaineering ascents to his name and had lived and worked in India for a year. From the outset I found Mark to be forthright, determined and generous with his time. He introduced me to the major climbing areas of the Peak District, Snowdonia and Cornwall, encouraged me to attempt climbs that he judged suitable for me and dragged me up a few that, with a less experienced and/or patient companion, would have been way beyond my capabilities. (The only quid pro quo in this climbing relationship, but one that still pleases me, is my introducing him in 1968 to my old stomping ground, Portland – now a major English site but then home to only a handful of routes). I remember Mark buying ‘Sgt Pepper’ in 1967 on the day it was released and listening to it with him in his room in silence and shared admiration. I also remember introducing him to Jack Kerouac’s ‘The Dharma Bums’ which I thought he might find far too debauched and undisciplined but, with its strong Buddhist influences, appealed to him greatly. He told me that he had read it bivouacking on Chesil Beach and watching the sun set over West Bay the night before visiting me in Dorset in 1968. Mark lived a full life and accomplished much. I loved receiving the occasional letter from him in Antarctica when I was settled into my first teaching job on a dreary winter’s morning in the Home Counties. When he returned a few years later, now married to my friend Jan, we kept in touch and met up every now and then. In 1977, over dinner at their Peak District cottage, Mark revealed that he was going to re-mortgage his house, give up his job and sink all he had into manufacturing a revolutionary piece of climbing equipment. He would not be drawn into saying more but then, at the end of the evening, and swearing my then wife and myself to absolute secrecy, he went out to his shed and returned with an object covered by an oily rag. He unwrapped it to reveal the ‘Friend’, a sophisticated piece of machinery – camshafts, cables and moving parts. It almost seemed to require two hands to hold and operate it and I could not imagine anything so heavy and cumbersome (and potentially expensive) hanging from a climber’s harness. On the drive home afterwards, I feared that Mark had made a terrible, disastrous misjudgement. Mark’s ‘Friends’ quickly became a worldwide sensation and a vital piece of every climber’s equipment! They were soon hanging from my belt as well and enabling me, in middle age, to push up my standard way beyond a level I had ever expected. We met up every few years for an afternoon’s climbing, a walk or just a meal and a drink. In the 1970’s we debated politics and industrial relations (Mark was the only entrepreneurial businessman I knew). In the 1980s he donated some of his rapidly-expanding firm’s new line in tents and sleeping bags to the Greenham Women via Buxton CND. Around the end of the millennium, he told me of his Parkinson’s diagnosis and his plans to remain as super-fit as he could for as long as possible. In grim weather on Boxing Day 2002, as we took a 15-mile walk through the Peak District (down from his customary 30-milers), he told me of his plans for the British Mountaineering Council as he prepared to become its President (“my last mountain”). And I was delighted when he came to my 70th birthday eighteen months ago and presented me with a copy of his newly-published autobiography, ‘Wild Country. The man who made Friends’. Last month, with Jan, we reminisced about some of these moments and others over the fifty years and finished by saying ‘good-bye’. Good-bye with a capital ‘G’. Jan and I had lunch on the western edge of Sheffield afterwards and talked some more while one of the very first days of Spring attacked the remains of winter in the fields and hedgerows with a savage vitality. Mark was a significant figure in my life and in the lives of many people. He often surprised me, sometimes amazed me, with his creativity and ambition, drew me into lengthy conversations on weighty matters as we travelled on through life and amused me with his dry wit. Thank you for all these memories, Mark. Thank you so much. Andy, your obituary for our friend Mark really moved me. I met him at college in 1965, when I was 21. I decided to go down to Cornwall with the horse- riding club but their minibus was full. It was suggested that I asked Mark Vallance for a lift because the rock climbers were going to Cornwall, too. So I did. You can guess what happened! We drove down overnight, 5 of us and all our gear in a Morris traveller belonging to Tim Lincoln – and we picked up Dave Hayles on the way, who was on his way home for the weekend (all 6’4″ of him). On arrival at the CC Hut at Bosigran, after being given permission to stretch out on the bunks for an hour or so, by John Hunt, I found myself climbing Commando Ridge in the glorious sunshine, surrounded by flowers and listening to the blue sea and the birds’ crying…. It changed my life!! Despite having lived my life before college within walking distance of Froggatt and Stanage I did not even know what rock climbing was. I soon found out and never missed a Goldsmiths Climbing Club meet for the rest of my time at college. I remember you there, and Andy Handford, and met Jan briefly before I left. But it was enough to introduce me to the mountains, and a bit of rock climbing. I still belong to a climbing club today. Of all the people who have “taken” me climbing, no-one has ever begun to match Mark for the qualities that he had to persuade, suggest and encourage me and no-one has ever come close to it! He particularly always made me feel completely secure and safe. He was also about the most accomplished and stylish climber I ever knew well. Over the years I bumped into him from time to time, usually at a rock face, and I was thrilled when I discovered that he and Jan lived 4 minutes walk away from me down the road. We met up a few times at each others houses and I visited him in the care home a few times and we had a good “gas” together, reminiscing. I hope I see you at the memorial service. I will be away for much of June and I’ll be pretty upset if I miss that service. Gosh Meg. I remember you from those days. I’m pleased that you appreciated my recollections of Mark. After the shock of his death, I felt that I had to write something to help me process my own feelings. Very coincidentally, I published a book last year about diary writing in general and about my own diary (begun in 1967) in particular. Mark, Jan, Andy Handford and you yourself pop up in various places in it in my climbing accounts from those years. So all of you had been in my mind only recently but before I knew that Mark’s death was so imminent. (You may have heard that Andy H also died just over a year ago. We had stayed close friends despite him having lived for most of his adult life in the US). Jan has asked me to speak at Mark’s memorial and I feel very honoured. So, if you are going to be there, I look forward to catching up with you.